Coming together in Norway in 2007, in recent years Kvelertak have built up an international reputation as one of the most distinctive and thrilling new acts in metal. Where much of the metal circuit (like most other circuits) often finds bands laser-targeting a specific niche or sub-genre to sit within, Kvelertak’s more broad-minded approach has become a breath of fresh air. There’s the intense grandeur of classic black metal, but there’s also the speed-rush of Motorhead, a pugilistic streak of punk rock and a respect for classic rock melody present within their sound as well. Trying to pin them down to just one sound or style is a futile task: Kvelertak’s omnivorous, wrecking-ball approach to the heavier side of the musical spectrum has become their most significant calling card. Having made a global impact with 2013’s superb Kurt Ballou produced effort Meir, their third album Nattesferd (released last year) is the band’s definitive statement to date. 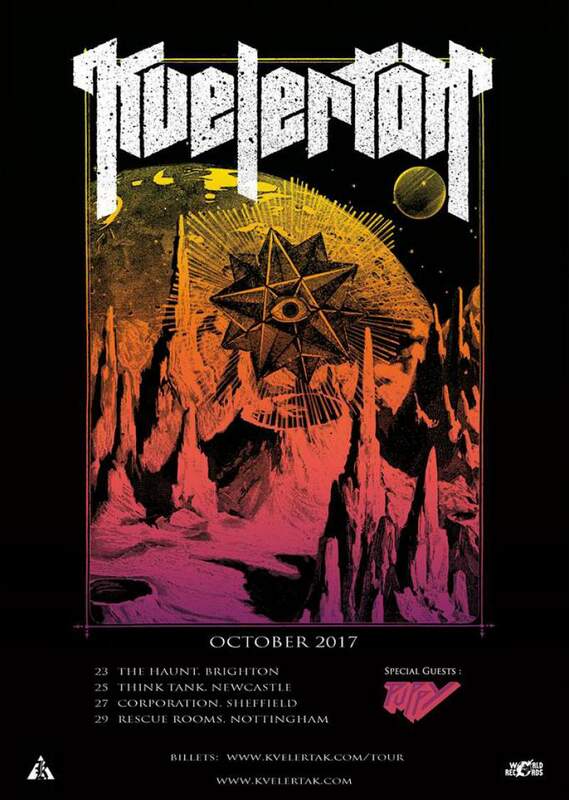 With the band continuing to tour the world in support of the record, Kvelertak arrive for their first ever Newcastle date on Wednesday 25th October in the intimate (for a band of this scope) surroundings of Think Tank? With the metallic power-pop of Puppy providing support on the night, this looks set to be a great evening.